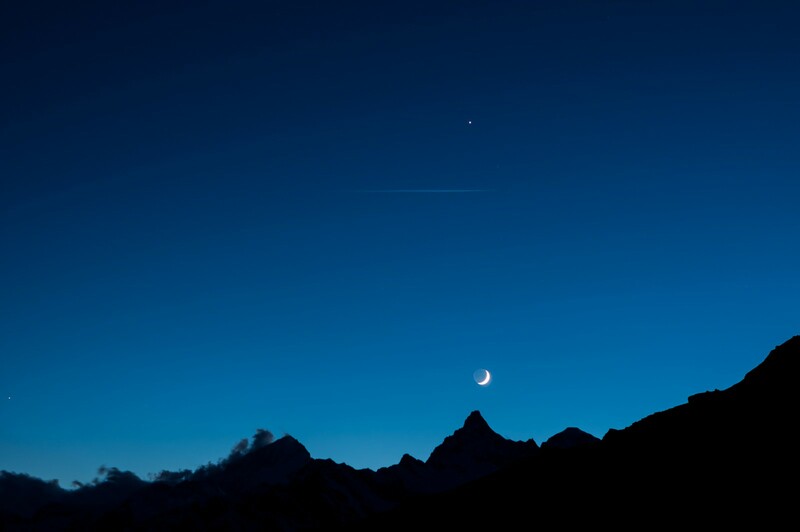 Zermatt is home to arguably the most iconic mountain views in the world, the Matterhorn. The resort itself is a glitzy and glamorous affair with a real cosmopolitan feel. 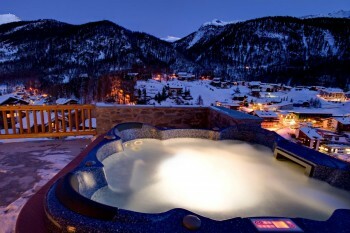 It is one of the few resorts that manages to combine high altitude skiing and a pretty resort village. 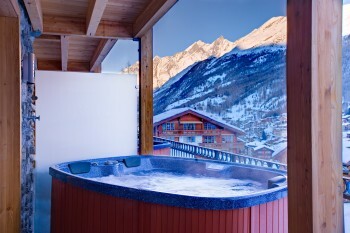 The skiing is excellent and wide ranging thanks to its links to Cervinia and Valtourneche. The resort is also lively, with a wide range of bars, shops and restaurants. The latter being a real plus point to the resort, Zermatt is arguably the top destination for skiers looking for world class food both off and on the hill. The resort is car free which means guests must expect some walking. There is a good electro-bus transit system (think a bus sized milk float with seats) which is free with the lift pass and a good way to keep walking to a minimum. There are also readily available electro-taxis although these can be quite expensive. On your way up to resort, whether you are driving or coming on a coach transfer service, you will stop in Taesch. 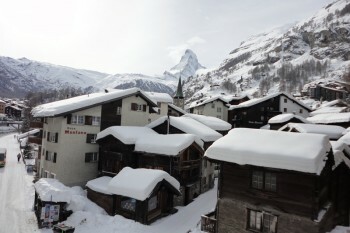 A small village below Zermatt from where you jump on the train up to Zermatt itself. This is actually a lovely train ride through the mountains and takes about 15 minutes; it breaks the journey up well and certainly doesn’t feel like an inconvenience. 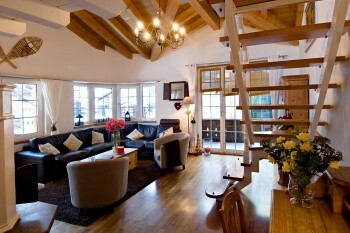 The resort is split into 3 main areas, the town centre, Petit Village and Winkelmatten. Due to the lack of cars, making sure you get the right location is quite important. Petit Village does have quite a few chalets and hotels and it is a bit of a walk from there to the town centre. The town centre itself is where the Sunnegga gondola and Gorgnergrat cog railway depart from as well as housing the majority of the shops, bars and restaurants. Winkelmatten is roughly 15 minutes walk from the centre but in terms of ski access it is the best of the 3. The Matterhorn Express gondola departs from here and the main piste into the village runs to Winkelmatten too. 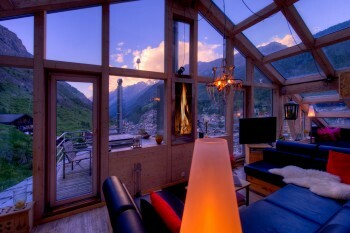 Zermatt is one of a very few resorts that took our breath away, it has so much going for it. The skiing is incredible, the village centre is gorgeous and the après-ski is fantastic. 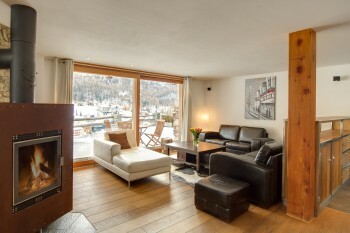 Zermatt isn’t cheap but we think it’s one of the resorts that every keen winter sports enthusiast has to visit. 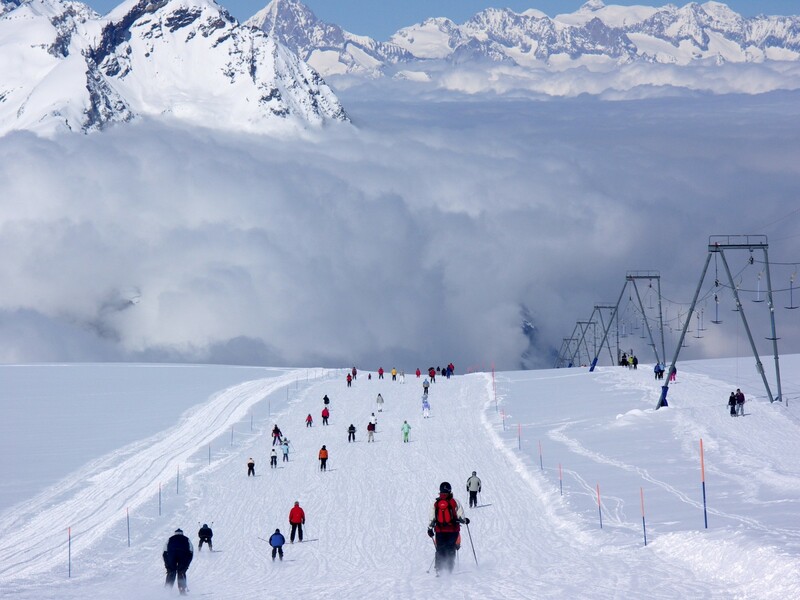 The ski area suits intermediates to experts, there really isn’t a great deal for beginners. We generally suggest that if you can’t ski a red piste then the ski area probably isn’t for you. The area is feels somewhat split between two sectors, the one accessed via the Sunnegga funicular from the resort centre and the one accessed from the Matterhorn Express gondola which is in the Winkelmatten area of the town. The latter is the lift to take if you are looking to ski over to Cervinia. The two areas are linked via a mid-station of the Matterhorn Express in the Furi area of the resort so you can ski between the two. If you do head over to Cervinia, what awaits is almost the exact opposite of Zermatt; a collection of sweeping and flattering blue and red pistes. 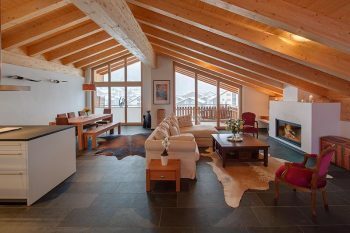 The layout of Zermatt is quite different from other Alpine resorts and we recommend that groups of skiers hire a guide for the first day or two to truly get the best out of the resort. There isn’t a huge amount for beginners but the best area is probably the one just above the Sunnegga arrival point where you will find a small selection of blue pistes. The positive for a beginner is that the slopes aren’t at resort level and therefore a lot more snow sure than other beginner areas in different resorts. Another major bonus for families is that children under 10 don’t have to pay for a lift pass. 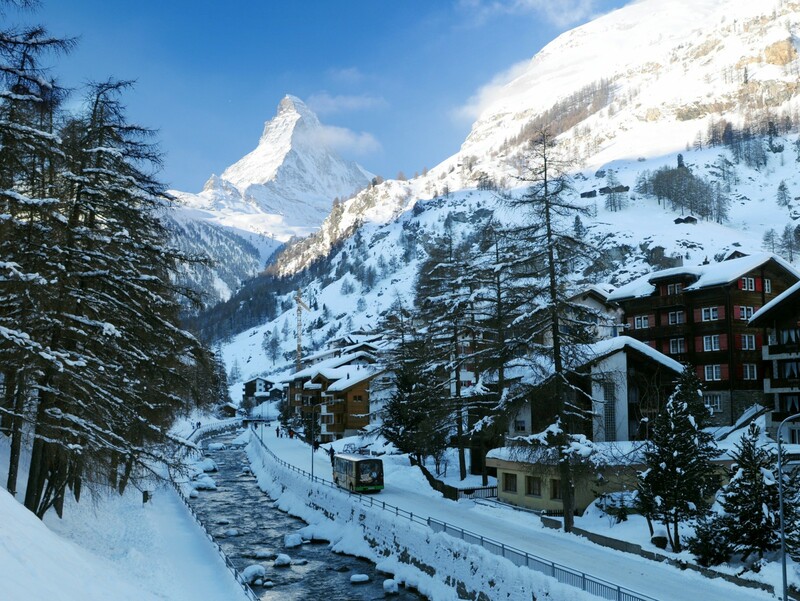 Red run skiers will love Zermatt, there is a huge range of long red runs with many offering stunning views of the Matterhorn. There isn’t a great deal of blue runs but if that is your cup of tea then head over to Cervinia and you’ll be in paradise! In terms of pistes, experts have a wide range to enjoy. Many of the reds would actually be black runs in other resorts! 20% of the ski area is classified as black pistes so there should be more than enough to keep even the keenest mogul basher happy. Zermatt also offers an incredible opportunity to explore it’s off piste terrain and there are also itinerary runs marked on the piste map, these are avalanche controlled but not groomed or patrolled. They are a great way to get your bearings. 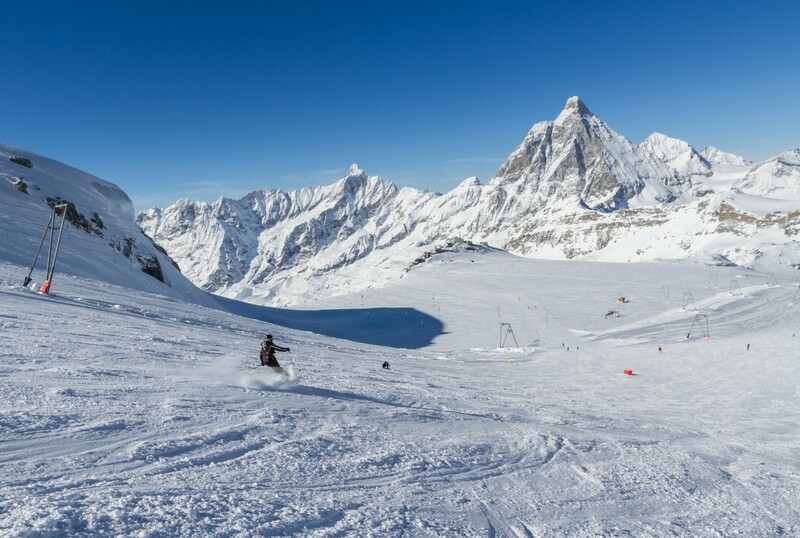 Zermatt is a ski area that takes no prisoners, if you are venturing off piste then please make sure you have all the applicable safety equipment and winter sports insurance that covers you. You should also take a guide and never start skiing a route that you don’t know. 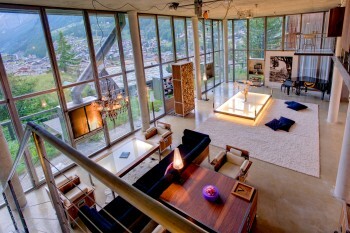 Zermatt offers a range of bars and clubs that should satisfy even the liveliest of groups. Just make sure you pack enough Francs! We love the Hennu Stall, Zermatt’s equivalent to the Mooserwirt in St. Anton and the Folie Douce in Val d’Isere. A true on hill après-ski spot with cheesy music, good beer and dancing on the tables. The piste down takes you into the Winkelmatten area of the resort. In the town itself, the most popular après-ski venue is the Papperla Pub which is always packed. For some post-dinner drinkies or a big night out, Zermatt delivers. The Post Hotel complex is something that has to be seen to be believed, it is almost an indoor “mall” of different bars and clubs. The Broken Bar Disco is our favourite here, very lively and good music too. Another venue that should be checked out is the Vernissage which is difficult to describe. If an artist/architect/cinema enthusiast got together to come up with their favourite bar, the result would resemble the Vernissage. 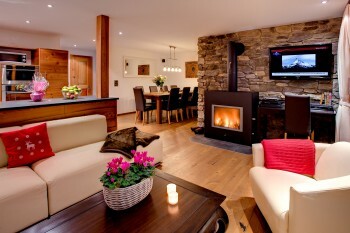 There are also several incredible Hotel bars for a more sedate and relaxing evening. 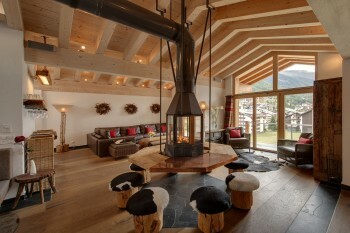 A special chalet in a special location serving incredible food!